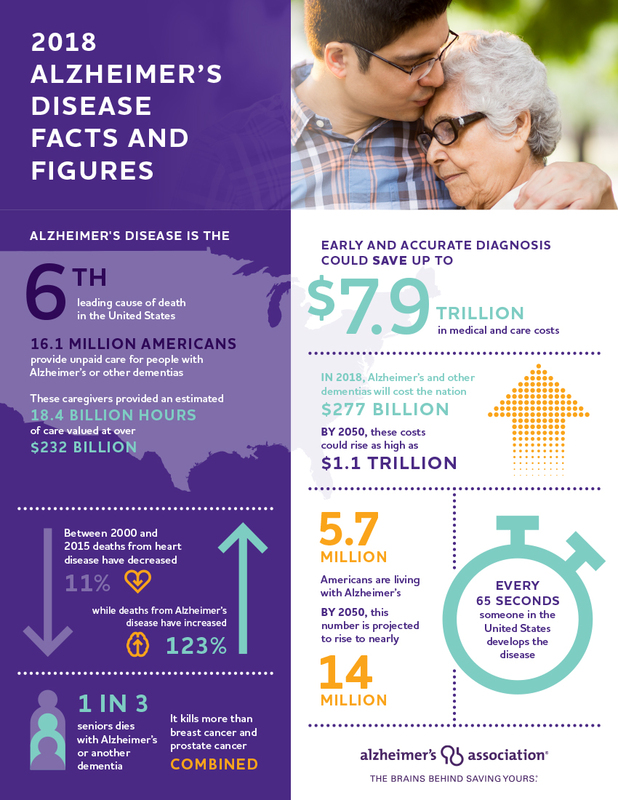 An estimated 5.7 million Americans of all ages are living with Alzheimer's dementia in 2018. This number includes an estimated 5.5 million people age 65 and older and approximately 200,000 individuals under age 65 who have younger-onset Alzheimer's. As the number of older Americans grows rapidly, so too will the numbers of new and existing cases of Alzheimer's. Today, someone in the United States develops Alzheimer's every 65 seconds. By mid-century, someone in the United States will develop the disease every 33 seconds.